Thank you for your interest in a custom home decor item! We are currently transitioning to a new order system to make it easier for you, the buyer, as well as us here at My Home Matters. During this transition period, we are using Etsy for all our custom orders. 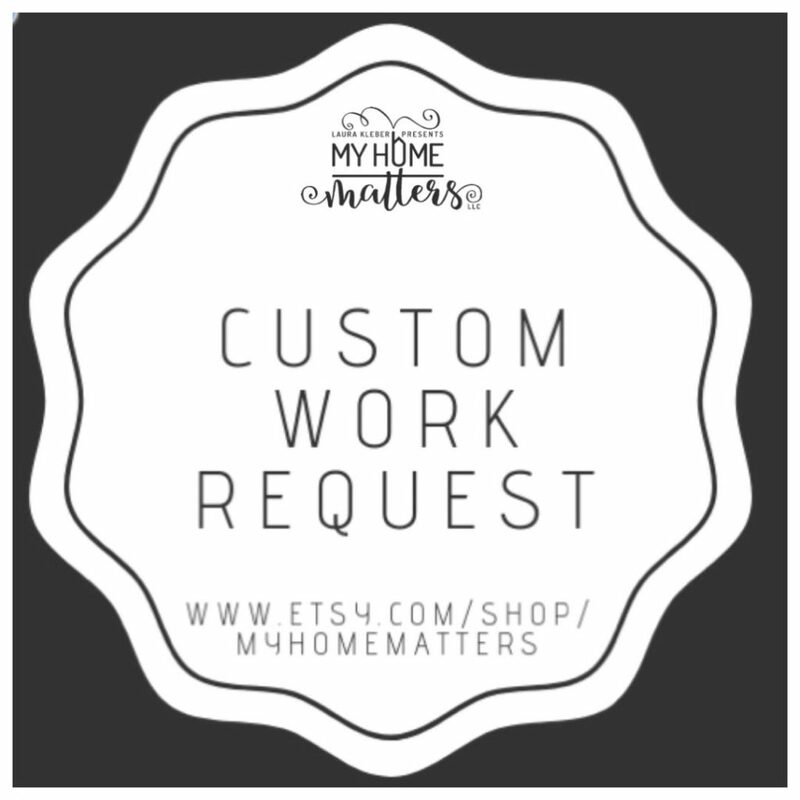 You can utilize the link below to be routed to the Etsy site of My Home Matters to begin your custom order. Rest assured that we will get our new system up and running as quickly as possible! If you have not signed up for our emails, you can do so on the main page and we will send a message when we are ready to open up the orders again for custom requests. Thank you, in advance, for understanding! Click the link to be redirected to our Etsy site and go to the section called CUSTOM PROJECT OPTIONS, where you can purchase a custom order in one of several sizes, shapes, and styles. You will have the opportunity to ask questions there as well. Should you place a custom order, you will have the opportunity to personalize it. We always contact you prior to printing any designs to get your approval first! Take a look at my other signs to get ideas for your own!